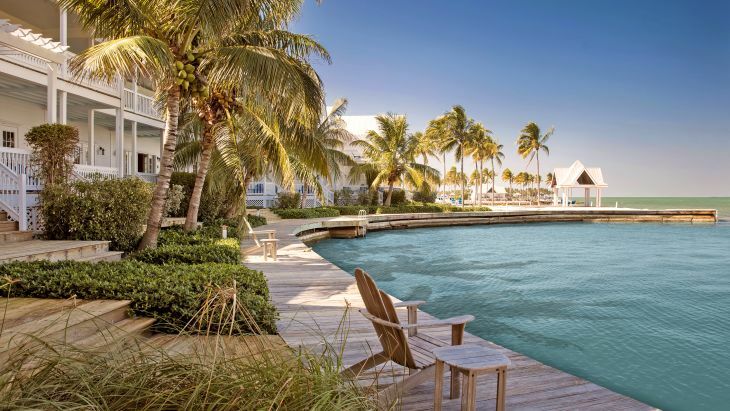 These charming Florida Keys vacation homes offer two-level living ideal for up to six people, overlooking the water. Step out the french doors onto the porch or balcony of our Marathon, FL vacation rentals and enjoy the balmy Florida breeze and views of the Gulf of Mexico. Our beach houses are fully equipped and ready to make you feel at home and right on the water. Wake up with the brilliant Florida sun coming in through your windows and the smell of sea air. Stay overlooking the waterfront, in a secluded beach house with everything you’ll need. Watch the sunset over the water from the chairs on your porch or adjacent dock. Please note room occupancy limits when booking. Children are counted as one person in the booking party, regardless of age.